Meet Dr. Collins. Click the link to find out more! Grant Collins, DDS, MS is a Mayo Clinic-trained orthodontist who grew up in Rochester, Minnesota. He graduated as co-Valedictorian from Century High School, followed by four years of undergraduate education at St. Olaf College. During college, he played on the men’s varsity soccer team for four years and led as team captain his senior year. In 2010, Dr. Collins was honored to be the only dentist accepted to Mayo Clinic for his orthodontic training amongst hundreds of top dental school applicants nationwide. He completed the three-year orthodontic residency at Mayo Clinic, where he had the opportunity to further develop his passion for orthodontics. At the American Association of Orthodontists Annual Meeting, Dr. Collins received the 1st place AAO Charley Schultz Award among research participants from all over the world for his cutting edge research on the use of new imaging techniques in orthodontics that are safer for children and patients. He has also taken the extra step to become a board-certified orthodontist as a Diplomate of the American Board of Orthodontics. Only about 25% of practicing orthodontists nationwide have achieved the status of becoming “board-certified” and Dr. Collins did so within one year of completing his orthodontic training at Mayo Clinic. Dr. Collins has many interests outside of creating beautiful smiles, including playing the guitar, soccer coaching, traveling, and spending time with his wife, Kimberly, and sons, Caden and Grayson. In addition to coaching and spending time with his family, Dr. Collins also enjoys attending all types of community activities of his patients including theater, dance, music, and sporting events. It is important to him not only to provide his patients with beautiful and healthy smiles, but also to support them within the community. 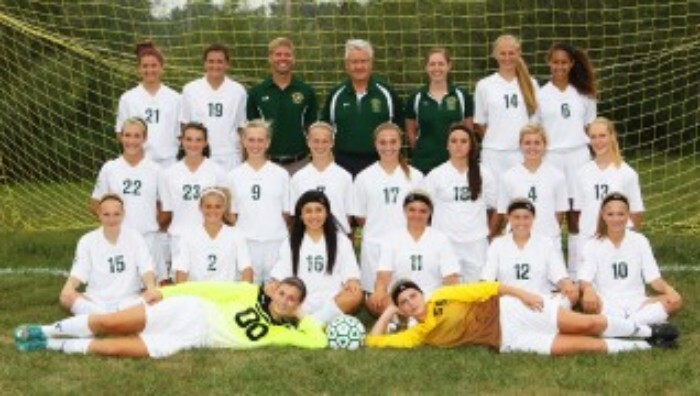 Dr. Collins enjoys coaching soccer, and has volunteered as a coach for the Mayo High School girls varsity soccer team.